You will watch The Simpsons Episode 512 online for free episodes with high quality. Online episode guide, The Simpsons Episode 512 Bart Gets Famous After sneaking away from a school trip to a box factory, Bart sneaks onto the set of the Krusty the Clown show. He gets a job as Krusty’s production assistant and soon becomes sick of the job. One day, he is close to quitting, but Krusty runs up and says he needs to use Bart in a sketch. 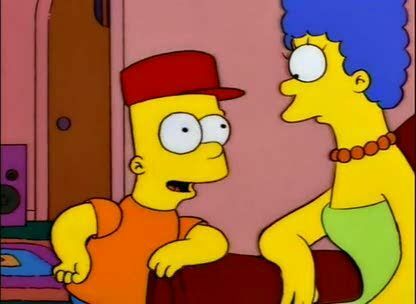 Bart becomes an accidental star when he says, “I didn’t do it” during the botched sketch. He becomes famous but soon becomes tired of being known for one line. Marge convinces him that the main thing is to make people happy, so Bart decides to continue, but the audience soon becomes tired of Bart’s act and forgets about him.